Thank you, Side Delights®, for sponsoring this post through Kitchen PLAY. As always, all opinions are 100% mine. Meet your new favorite side dish! 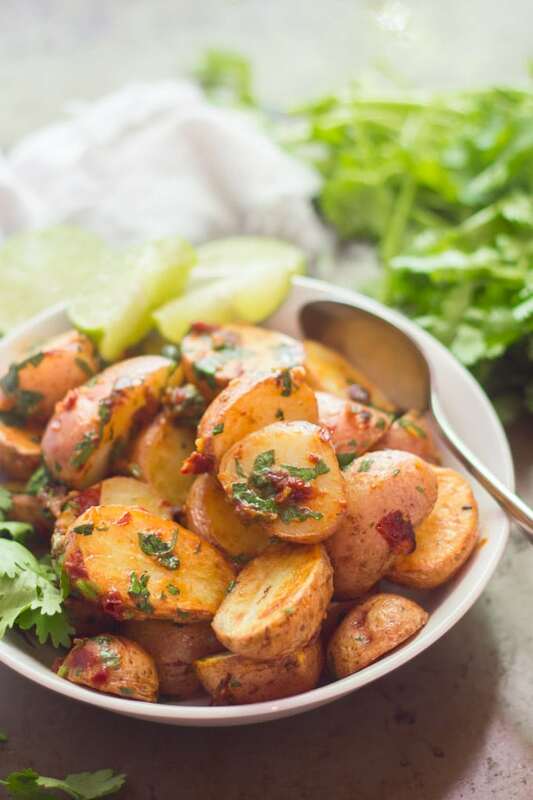 Crispy roasted new potatoes are tossed in smoky chipotle lime sauce and dressed with fresh cilantro to make this mouth-watering and crowd pleasing side that’s sure to steal the show. Cookouts at my house can be a bit of a scary occasion for my loved ones. Hmmm…that sounds bad. Let me explain! Even though most of my friends and family members don’t follow a vegan diet, more often than not, they’re happy to enjoy vegan food when I’m doing the cooking and even excited about it! I do develop vegan recipes for a living, after all. But still, grilling season can make people a little nervous. Serving up pasta dinners or curries is one thing, but vegan barbecue fare is unexplored territory for most folks. Veggie burgers, veggie dogs, and tofu kebabs have the potential to be really bad. They always do turn out good, and I’ve always managed to impress my guests. But, I do like to have a few guaranteed crowd pleasers on the table from the get-go, just to put everyone’s minds at ease. These potatoes are my new show-stopper. I mean, first off, who doesn’t love a plate full of hearty potatoes? And crispy potatoes roasted up in olive oil? OH YEAH. But the sauce is what really takes this one to the next level. With chipotle, lime, and fresh cilantro, it’s one of those flavor combinations that sounds good but turns out to be mind-blowingly delicious when you taste it. The dish is also really easy to throw together and just requires a few ingredients — two more reasons it’s great for entertaining! You’ll need 1 & 1/2 to 2 pounds of small new potatoes. I used Side Delights Gourmet Petite Potatoes. They come in 1 & 1/2 pound bags, so you’ll have just the right amount for the dish. They’re also clean and ready to cook with when you buy them! Halve the potatoes, toss them in olive oil and sprinkle with salt. Arrange them on a baking sheet (I used an oven-safe skillet because that’s what I had on hand) and roast until fork tender and crispy. While the potatoes roast you can prepare the sauce. You’ll need a can of chipotle peppers in adobo sauce. 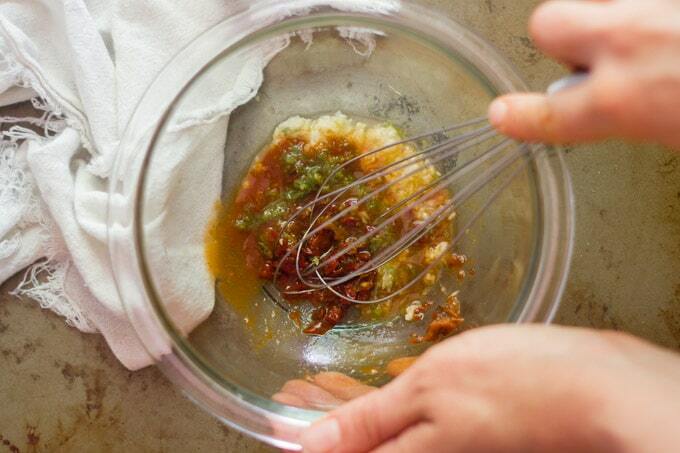 Mince up a pepper and mix it with a bit of the sauce from the can, some garlic, lime juice, and zest. Just a few ingredients, but they all pack so much flavor! 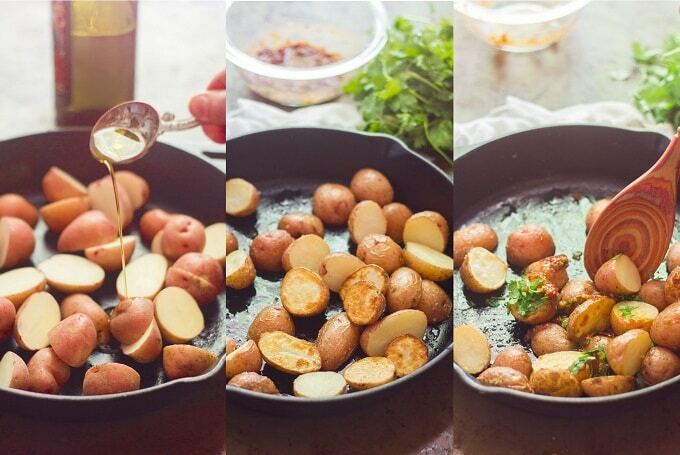 When the potatoes are done, toss them with the sauce and some fresh cilantro. Serve and watch everyone devour them! I got the recipe for these potatoes here on the Side Delights recipe database. Definitely check it out if you’re seeking more crowd-pleasing potato recipes. They’ve got tons of delicious ideas over there, and I was pleased to find that lots of them happen to be vegan. Use the search feature to seek out recipes, or just browse. I’ve got the Potato Salad with Quick Preserved Lemon and Arugula and the Southwest Bowl bookmarked to try next. Oh, and once you find your new favorite recipe on the database, enter for chance to win a box of Side Delights fresh potatoes and an Instant Pot. Just fill out the form below between now and August 20th! Look for canned chipotle peppers in your supermarket’s international foods section. Want to do the prep work for this dish ahead of time? Mix up the sauce and chop the cilantro a day in advance. If you want to go all out and halve the potatoes ahead of time, store them in cold water after cutting to prevent browning. Meet your new favorite side dish! 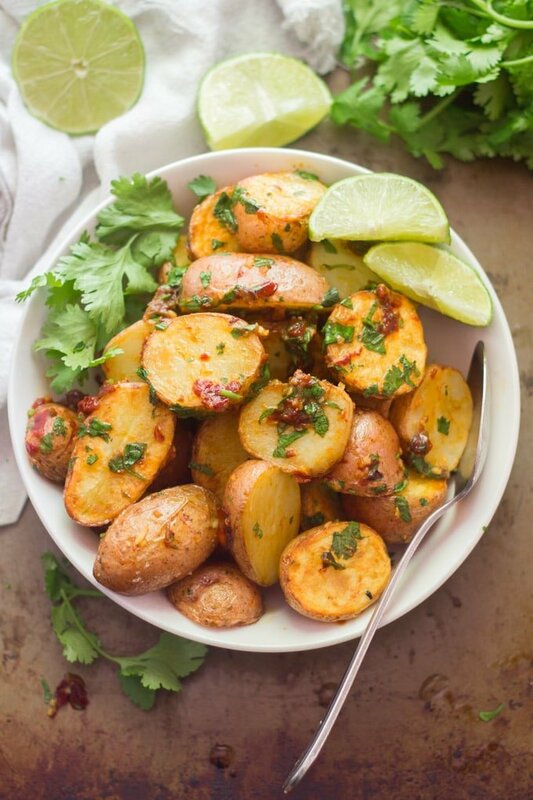 Crispy roasted new potatoes are tossed in smoky chipotle lime sauce and dressed with fresh cilantro to make this mouth-watering and crowd-pleasing side that's sure to steal the show. Preheat oven to 400°F. With a knife, slice the potatoes in half. Place the halved potatoes on a baking sheet. Drizzle 1 tablespoon of olive oil over the potatoes. Add salt and toss with your hands until the potatoes are thoroughly coated with oil and salt. Place in the oven for 30 to 35 minutes, stirring once, until golden and can be easily pierced with a fork. While the potatoes are cooking: Mince the chipotle pepper. Place in a large bowl. Add the adobo sauce to the bowl. Add the garlic to the bowl as well. Next, add the lime zest, lime juice, and the remaining 2 teaspoons of olive oil. 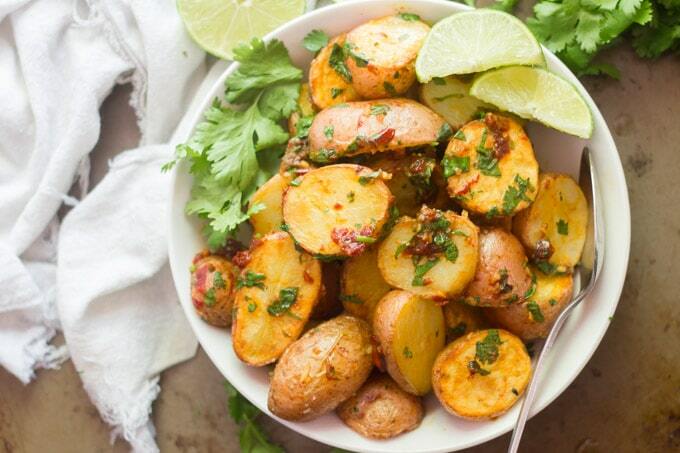 Once the potatoes are done and still hot, pour them into the chipotle lime dressing. Add cilantro and gently stir to combine, making sure every potato is covered. Plate and serve. Thanks so much for all your wonderful recipes! 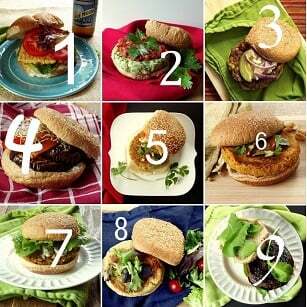 I am not a total vegan (vegetarian 40 years) but I’ve found your website/recipes the best by far esp. for multi-ethnic cuisine. I find with most ethnic recipes online I have to double the spiceness as too bland for me but don’t have that problem with your recipes. Keep up the good work! I’m so glad you’re enjoying them!! I actually usually end up doubling the spices when I use recipes that aren’t my own too. :) Thanks so much Marta! They were SO delicious!! Thanks Lori! Such a flavorful recipe! Absolutely love it! It is so flavorful!! Thanks Diana! These were delicious. I goofed and added all but the cilantro to the mix before baking. When the potatoes were done I added almost a full bag of frozen southwest blend veggies and the cilantro. They were gobbled up for breakfast by my son and his girlfriend. Next times, I’ll have some warm corn tortillas to go with them as my son was scooping them onto some vegan toast I’d made. That sounds like a delicious meal, and I’m so glad you enjoyed them!! Thanks Timaree! These would not last a minute in my house! Love the spicy topping! They went pretty fast in my house! :) Thanks Marjory! !